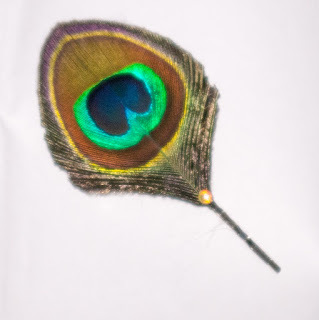 A non-blue peacock feather hairpin from etsy. Yes, I really do wear these in my hair! This one's very pretty.